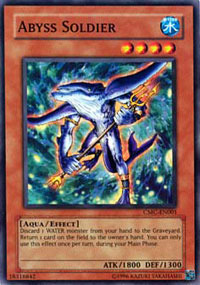 Card Text: Discard 1 WATER monster from your hand to the Graveyard. Return 1 card on the field to the owner's hand. You can only use this effect once per turn, during your Main Phase.